So your kiddos are old enough to know that their controllers aren’t actually on while you let them pretend to play. Now what? You probably don’t want them playing your Overwatch game just so you can hear your heart audibly break when they plummet your score, so it’s time to get them some fun PlayStation 4 games of their own! Heck, even if you don’t have children, these games are still pretty fun for adults! We all remember what it was like to rip the plastic off of our brand new Crash Bandicoot game for the original PlayStation. After school we all spent hours on end beating the levels, looking for the secret floors and trying to collect all of the gem shards. Get your kids collecting all of those delicious Wumpa fruit to gain lives and spin their way to the top! You can even make it a family adventure and show them all the neat tricks you remember! Any of the LEGO games are perfect for all ages. The stories and objectives are easy enough for your children to follow along with, and fun enough for you to want to plug in your own controller to play with them. That means this game isn’t just a perfect reward system for your child to earn time playing for their good grades; it’s also a great bonding experience. Just Dance is perfect for getting some quiet time for yourself because the kids are entertained and know that they’re actually up and moving too. All of the fun and wacky rave style graphics are sure to get this party bumping. The multiplayer option makes this game great for when they have friends over as well. This side-scrolling platform game is sure to grab the attention of anyone. Your goal is to get to the finish line on the other side of the map, while you are saving fury friends from impending doom. Not only have they upped their gameplay and graphics, but not much can get you more pumped than running from bad guys to the tune of Black Betty by Ram Jam. 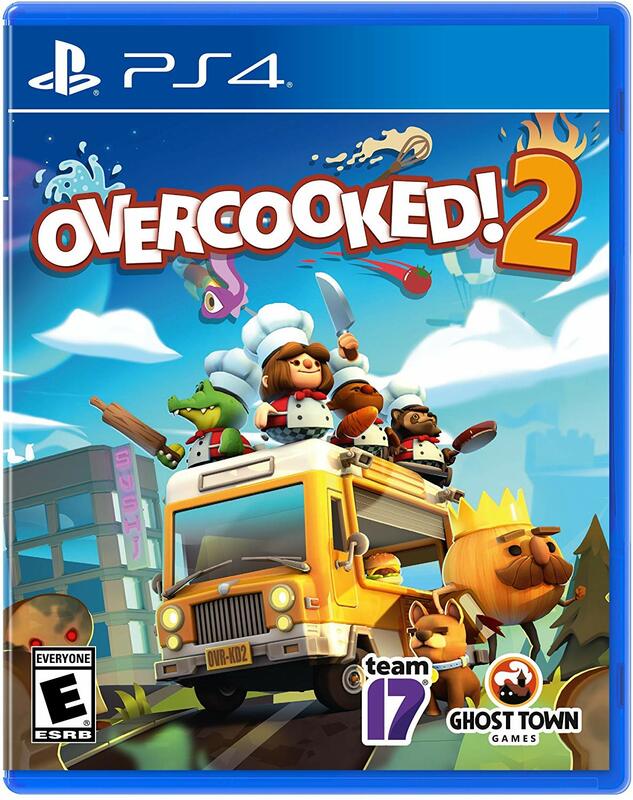 Overcooked will always be on my list of some of the funnest family games to play when you’re looking for time to kill on game night. With only three control buttons, this is a game that is super easy to get the hang of. Although the levels do get increasingly hard (even for a group of adults), the amount of fun you’ll have will triumph over any defeat. Although only four people can control characters on the screen, a fourth (or even fifth) person is always handy for calling out the orders from the top of the screen to help the process go by easier. Consider adding Minecraft to your PlayStation library as fun for the whole family. Although it’s a single player game there is a multiple save option available so everyone can have their own world to create. If your kids are old enough to creatively build their own world, but not quite old enough to battle the Enderman and zombies, you can always set the mode to "Peaceful" so that they’ll be left alone to build. Minecraft might be low on the graphics scale, but the creators seem to always be adding new content like donkeys, horses, and botanical magic. Get the creative juices flowing! There are a ton of awesome games for PS4 that your kids will absolutely love. Now it’s up to you to choose the one that’s right for your particular child. If you just can’t decide, you might want to go with Minecraft. Just about every kid in the world loves it, so it’s kind of a no-brainer.